How did the wealthy and educated of the past – say 18 or 19 century – usually begin their day? Just like we do: by reading their mail. After that they sat down to write the replies, which were lengthy, calligraphic, grammatically impeccable and of the finest style, so this activity often occupied a large part of the day. 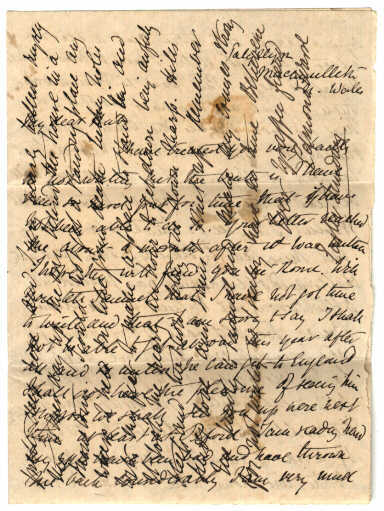 The most personal thing about these letters was, of course, the handwriting: perfected day after day, a skill that is rapidly being lost in our times as the communication is replaced by computerized text. Now there is a service allowing you to retain some of that original, personal quality: Pilot Handwriting. But it comes with a problem. When opening a handwritten letter that looks like the one in the video one would naturally expect it to be – well, impeccable and of the finest style. And we are not used to caring much about our style, grammar or punctuation nowadays. By the way, do you know that in 18th century they sometimes used to write « cross-letters » to save money? Smaller letters were cheaper. Vous vous trouvez dans les archives du blog de Use Design pour septembre 2010.